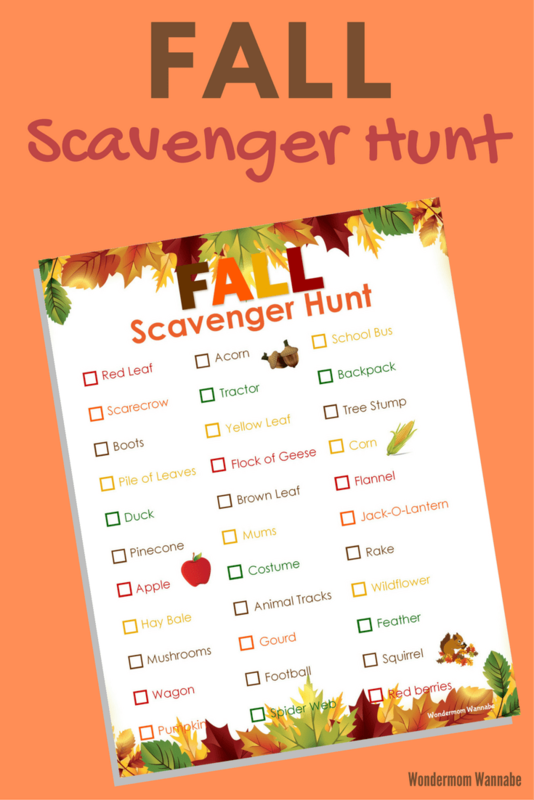 This printable fall scavenger hunt is a fun way to encourage physical activity after the kids have been sitting in school all day. Like my other scavenger hunts, this list is full of items easily found in most neighborhoods. The fall scavenger hunt is easy to use. Your kids just need to head outside and search for the items on the list. Then, they check them off each item as they find them. Find 1-10 items, we’ll have apple cider as a treat. Find 11-20 items, we’ll make s’mores. Find 21-30 items, we’ll go on a family hike or bike ride. 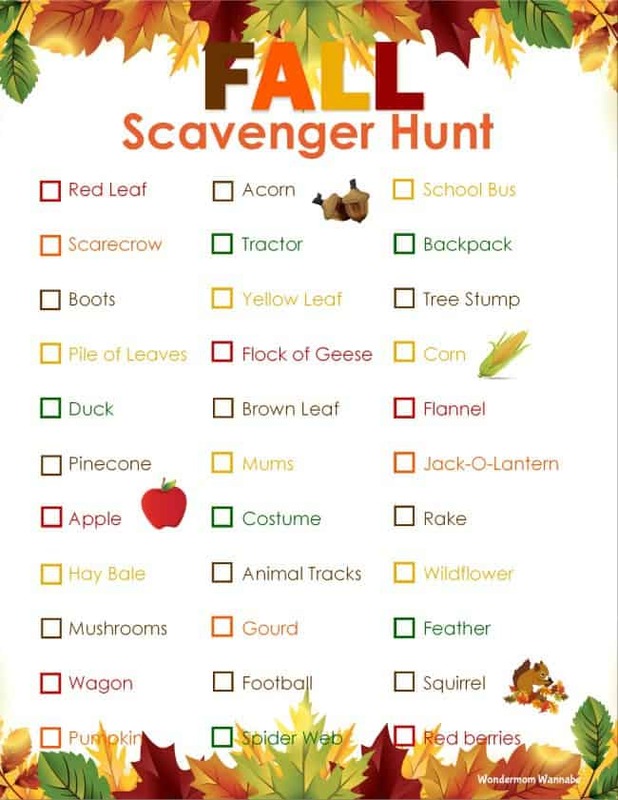 Find all 33 items, we’ll go camping or to a fall festival. Now that you have some ideas of how to have fun with the fall scavenger hunt, here it is. Just fill in the form below the image to get immediate access. If you enjoy the spring scavenger hunt, you might also enjoy some of these other scavenger hunt and treasure hunt ideas. Once your kids get the idea, they have just as much fun creating their own hunts. Sometimes, we turn the game completely on its head and we let the kids create scavenger hunts that the parents have to complete! 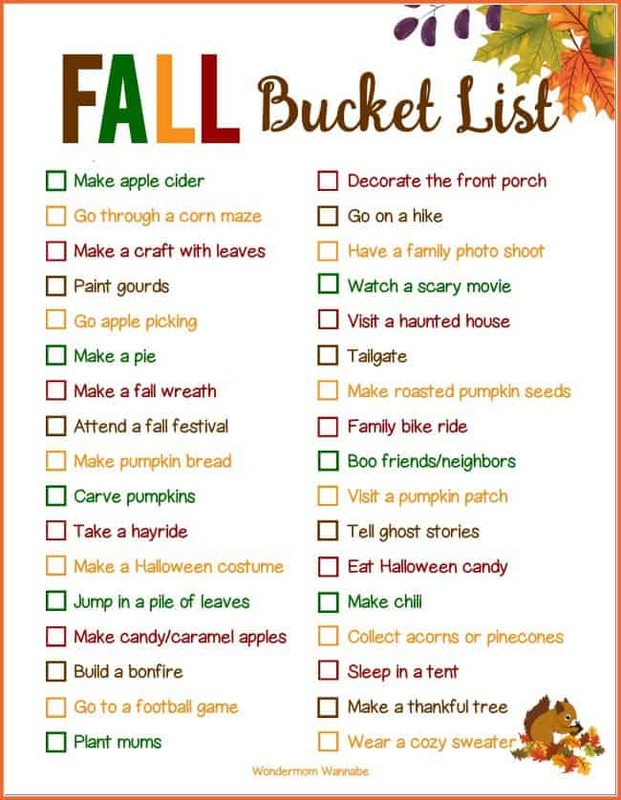 For more fall fun, print off my Fall Bucket List and try to complete all of the activities. 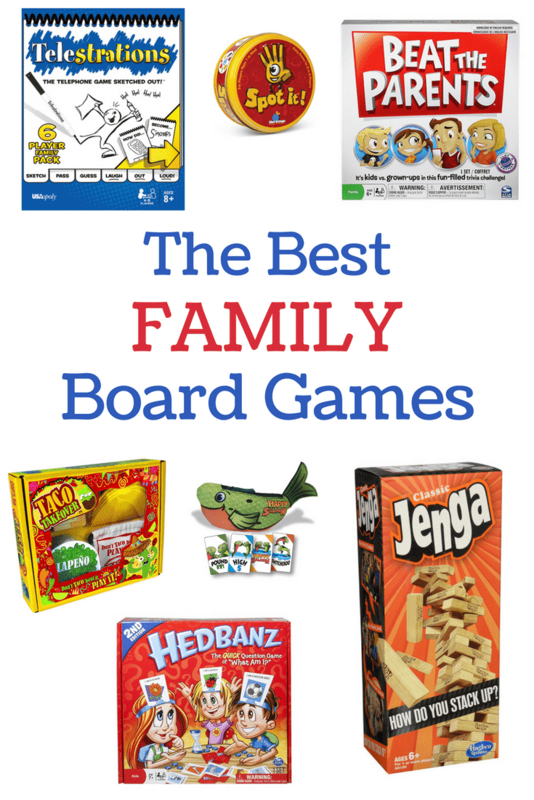 On days when the weather is too harsh, pull out a family board game. Click the image below to see my family’s favorites. Hi Corinne! I linked to this post from my own Fall Bucket List post I just published. This is a great scavenger hunt! Thanks Vicki! Readers, check out all the fun ideas on Vicki’s Fall Bucket List!